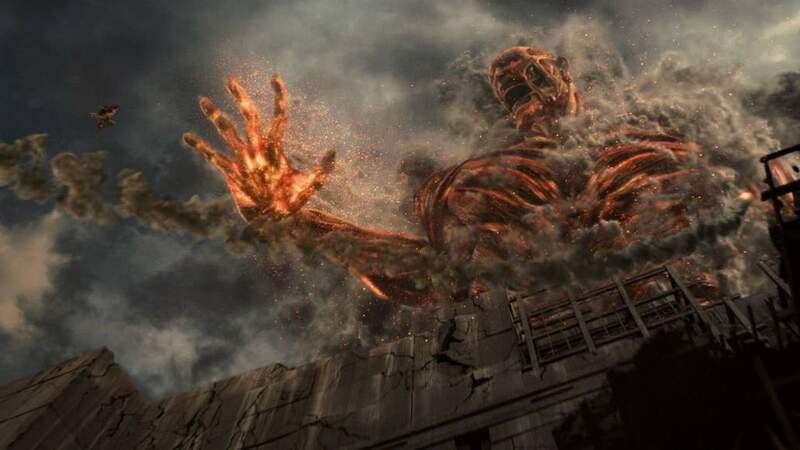 Attack on Titan: Part 2 : Is This One of the Worst Live Action Animes Ever? The inconceivable has occurred: the second part of the live-action adaptation of the ultra popular manga and anime is even worse than the first part. The film continues where the previous installment left off, with Eren captured by the forces of General Kuba, with the introductory scene being one of the few in both installments that is properly directed. This however, does not last for long, since the next scene occurs in an all-white room with a jukebox and Eren and Shikishima dressed in white, while the latter explains the story behind the events. This, sort of surrealistic scene is a clear indication of Shinji Higuchi’s confusion, in a film whose biggest problem is that it had to fit a 24-episodes anime in a 3-hour film, with a budget that could not sustain many action scenes. In that fashion, the film moves slowly to the point of tiring, with unnecessary dialogue and very few action scenes, that despite the impression they make with the design and movement of the Titans are not enough to save an otherwise less than mediocre picture. The ending of the film is once more impressive, with Jun Kunimura stealing the show in probably the film’s sole adequate performance, and the final fight being this part’s best moment. Evidently, the producers of the adaptation had the sole purpose of commercial success, a notion that becomes evident due to the popularity of the protagonists and the fact that they unnecessary split a 3-hour film in two parts. My disappointment for what could have been a great project is enormous and is even more heightened by the fact that recent anime adaptations have taken a turn for the better with films like “Assassination Classroom”, “Rurouni Kenshin trilogy”, “Parasyte” and more.